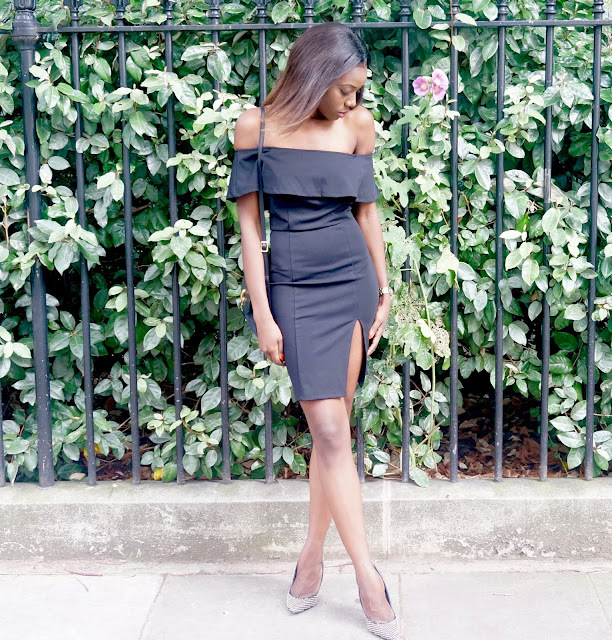 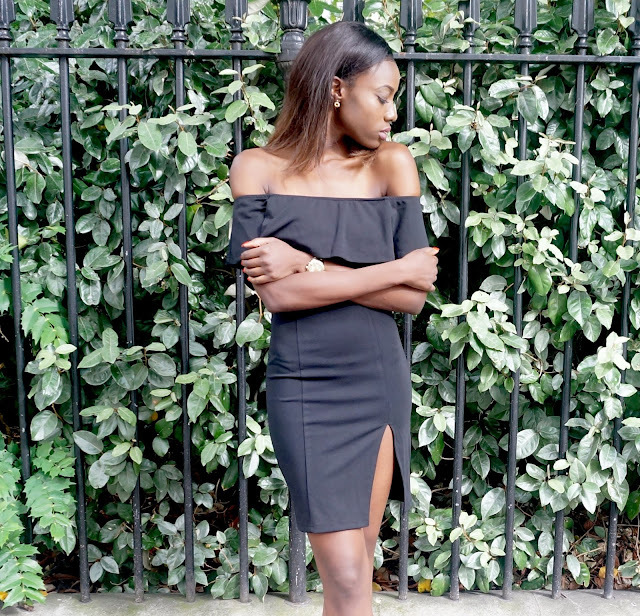 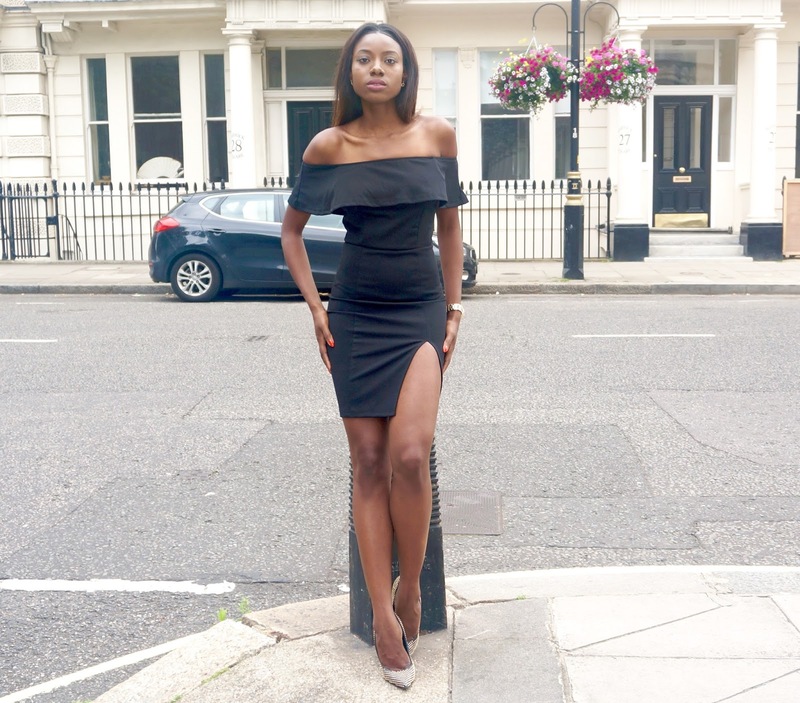 I am back once again with an off the shoulder piece, this time round in the form of an LBD (little black dress) from none other that SHEIN.com This little number is one I would reserve for those nights out on the tiles with the girls. 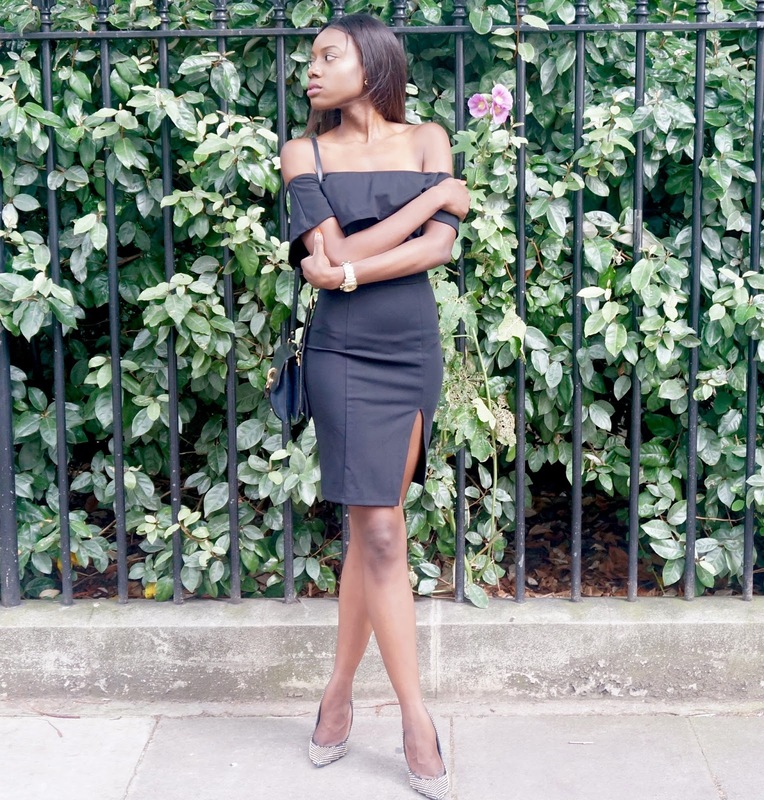 Everyone loves an LBD and I for one I'm no different in that respect because of the illusion of making one appear that little bit slimmer and lean. 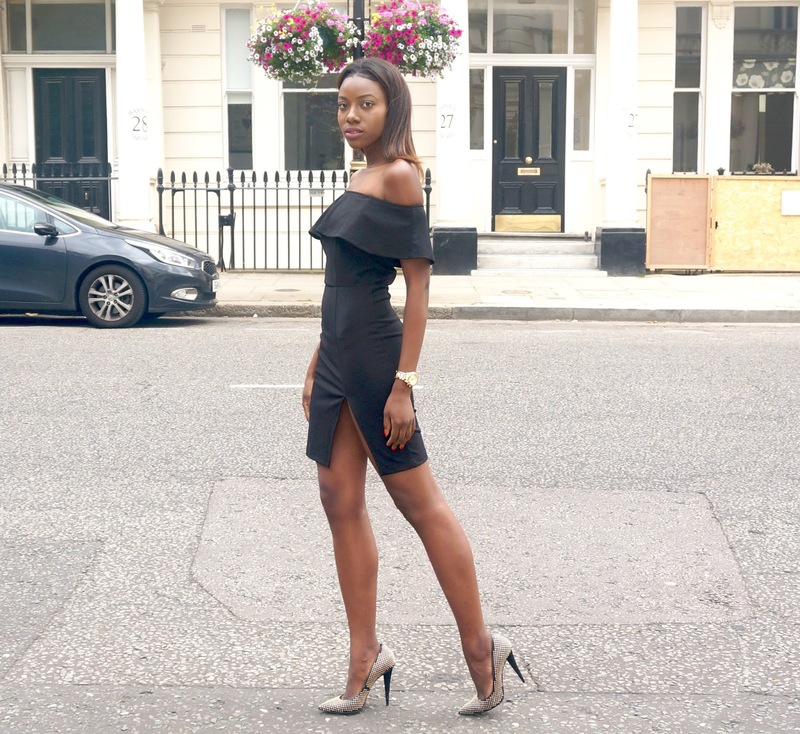 The dress did turn out to be a lot shorter on my (5ft 7 inches) frame than I had anticipated or would have liked but I think I was able to get away with wearing it without drawing too much unnecessary attention my way. 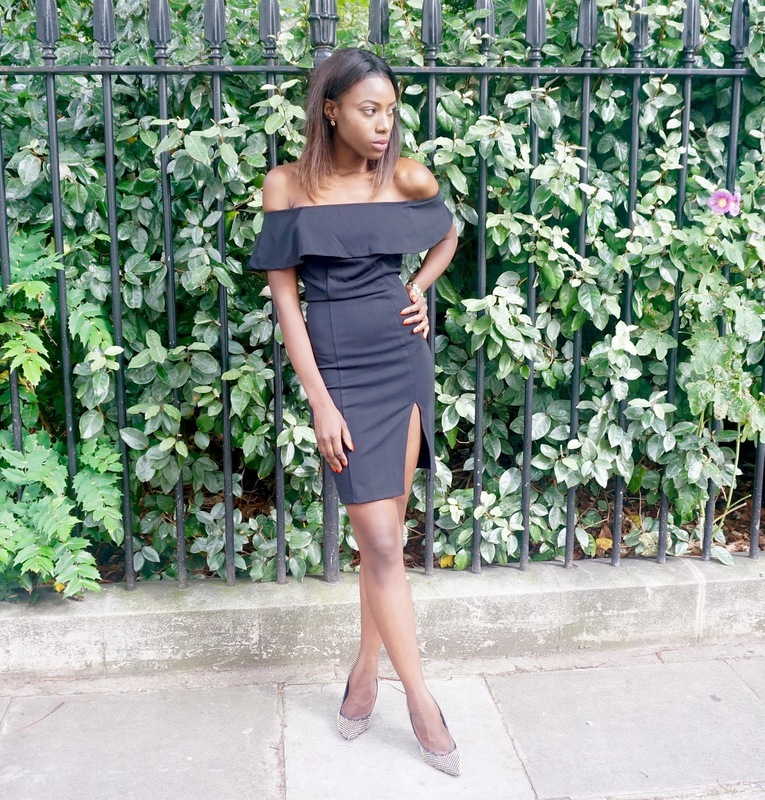 The design of the dress is great for the summer weather and I love the form fitting stretchy body con fabric that sticks to my body like glue. This was one piece that I happily didn't have to make any amendments to as it fitted me perfectly and in case you are wandering I opted for the XS. 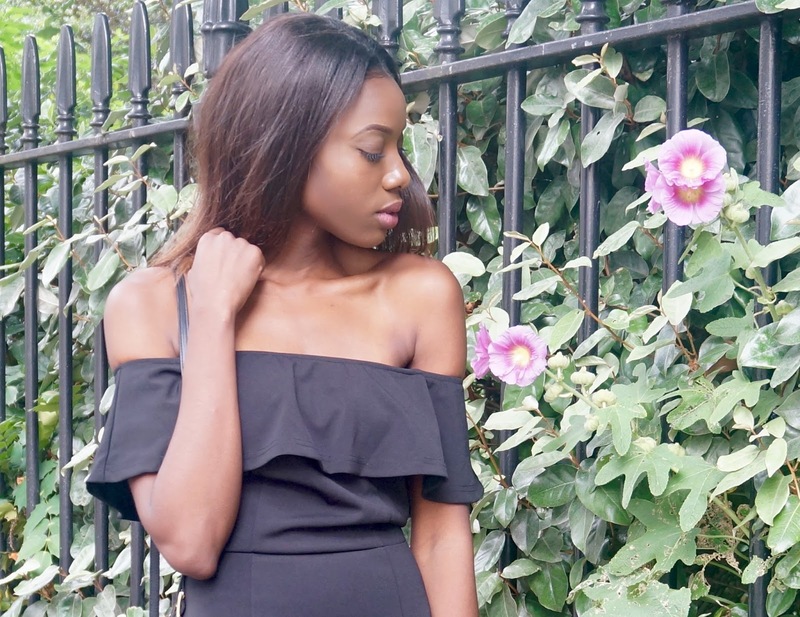 Thoughts on this little number?